I love open world video games, mostly because I can goof off and explore instead of actually playing the missions. As I was playing one recently, I thought about how it would be neat to play a game where the whole point is to explore the world. 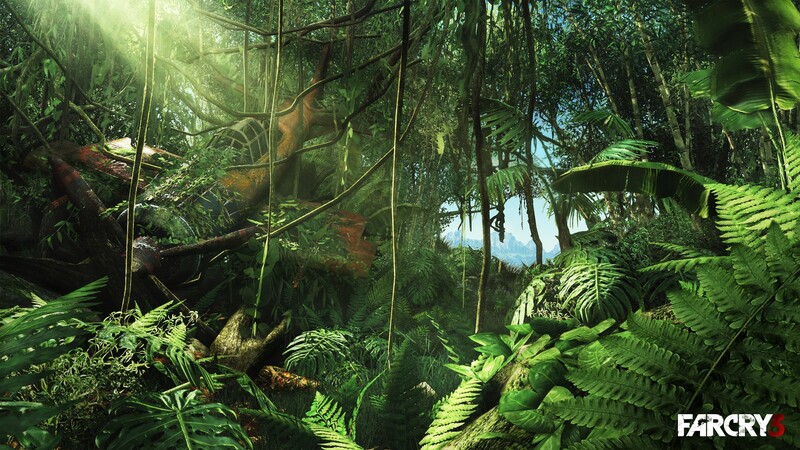 An example of the lush tropical setting of Far Cry 3. From a technical standpoint, absolutely. Modern gaming engines and platforms have increasingly better graphics (some images I’ve seen lately have me honestly unsure as to whether they’re a photo or a screenshot), so creating an opulent, rich world is well within the grasp of modern gaming technology. Just take a look at Crysis 3, The Last of Us, and Far Cry 3. A number of games have come out in the past 5 years or so that have really pushed the limits of size, giving us huge worlds to explore, even though many of the assets within those worlds are often clones. Games, such as Just Cause 2, Fuel, Skyrim, and Guild Wars Nightfall, have given us massive worlds to explore. The largest map to date (that I’m aware of) was in The Elder Scrolls: Daggerfall, which was an MS-DOS game released in 1996! Do gamers really want something like this? I Am Alive featured a lot of exploring in a post-apocalyptic urban environment. Games like Journey and I Am Alive, both of which were popular and commercially successful, have given us a taste of games where the primary game play is, or could fall under the umbrella of, urban exploration. Some franchises, such as Tomb Raider and Uncharted, lean heavily on the concept of exploration. Tons of games tease us with maps that I would love to explore freely, such as certain Call of Duty maps, and pretty much all of Spec Ops: The Line. Granted, most of those games have quite a bit of gun play in them, which is hardly consistent with what urban explorers experience in real life. But the core concept—exploring a city, or ruins, or whatever—is clearly attractive to players, and I suspect the creators have fun dreaming up new worlds. Achievements or trophies would be easy enough to create, and missions could be added with little difficulty. An example of a mission could be a photo scavenger hunt (kind of like the photo side missions in Sleeping Dogs, except a little more challenging). Or perhaps a survival mission, where the player must use their wits to figure out where supplies might be, and determine what is worth keeping and what will overburden them. There could be a “treasure hunt” mission where they player starts off with a clue or a piece of a map, and then they must hunt around for other clues and map pieces until they find the ultimate treasure. In I Am Alive you had the option of finding supplies for various people throughout the game, and the game rewarded you for doing so. Some of these missions could use procedural generation to encourage replay. I guess the trick would be to keep people engaged and excited to play, and how do you do that? Myst was gorgeous for its time, and I enjoyed the game play, but it took a lot of flak for not having any characters for players to interact with (except for Atrus, but you never really got to interact with him, per se). Journey was beautiful and serene, but ultimately pointless. I found the demo of Journey incredibly dull for partly this reason. There was no one to interact with (apparently this comes later), it was somewhat linear (although I could run all over the place, I was definitely being funneled along), and by the end of the demo I hadn’t figured out what the point was. 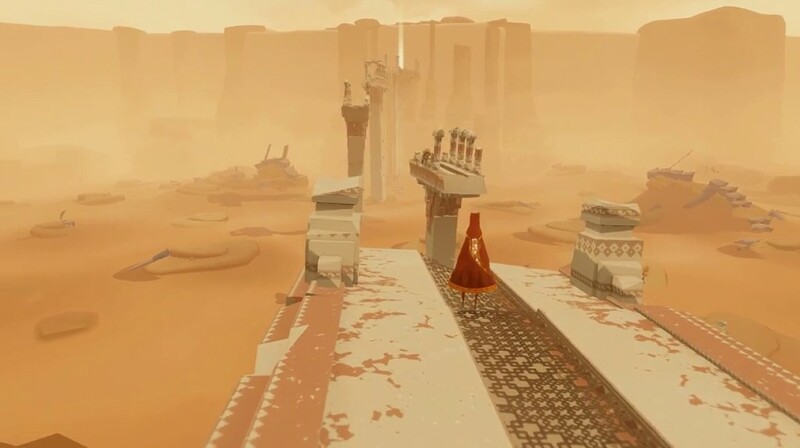 That was what ultimately prevented me from any further interest in Journey: It appeared to have no more substance than merely running around a desert chasing bits of colored cloth. In fact, according to the game’s Wikipedia entry regarding its story, running from point A to point B is the whole point. Hell, even Flower (where you play as the wind blowing flower petals around) had somewhat of a story you could glean from the game. Will a game like this ever get created? Possibly… But I won’t start holding my breath any time soon. There are some major roadblocks that stand in the way, not the least of which is figuring out the point of the game (as I mentioned above) and trying to convince gamers that it’s worth their money. Still, Journey doesn’t seem to have a point and it was the fastest-selling game on PlayStation Store in both North America and Europe. That alone is proof that alternative game play and story lines can still be commercially successful. Not everything needs to have guns to make money. 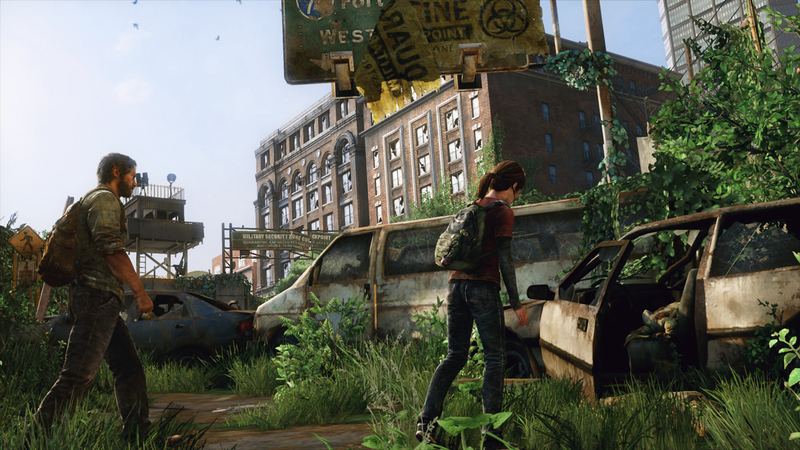 The verdant post-apocalyptic world in The Last of Us almost looks real. The games that do get away with these kinds of creative departures and are successful are often produced by independent game developers, most of whom are small companies with only a handful of people. A large, open world game, built on a major gaming engine, and with minimal asset cloning would be a massive undertaking. It’s certainly possible that an independent studio could produce such a game, and in all honestly I’d love to see it. The game doesn’t even need Crysis-level graphics; I Am Alive was an engaging game even with its mediocre graphics and low color saturation. As long as solid game play is there, it has the potential to prosper. Who knows. Perhaps if there’s enough demand, someone will create such a game. If an urban exploration game existed, would you play it? How important are realistic graphics to such a game? What kinds of missions would you consider engaging enough? I too share your love of exploration. My game play is not nearly as up to date as yours seems to be; but here are a few that I reminisce about. When World of Warcraft came out, that was the first game I thought truly worthy of my exploratory nature. Some of my friend gave me a hard time about exploring every nook and cranny. I wanted to see and experience it all; plus I wanted my map complete (your world/zone maps are blank in any area you haven’t explored or discovered). After a few years, I gave up the addiction; but about a year ago I went back to it for a bit (my brother wanted someone to play a new expansion with him). I was surprised and delighted to find they had an achievement system that awarded you for exploration. The first Assassin’s Creed game had a lot of cool urban exploration, and a neat mechanic allowing you parkour-like aspects; but outside the urban concentrations you were pretty limited. AC2 opened things up more, and took the urban exploration up a notch. I haven’t played any further in the series but recently saw some gameplay from the latest in the store, and it looks like you get a lot of open wilderness to explore as well. Grand Theft Auto 4 was another that impressed me with the open urban sprawl. I enjoyed the side missions and just general exploration driving around; but wished more of the buildings were fleshed out. I actually picked up the GTA4 expansion episodes a few months back for cheap, but haven’t got to play them yet (think I’m going to now). Plus it appears that there is a 5th release now. 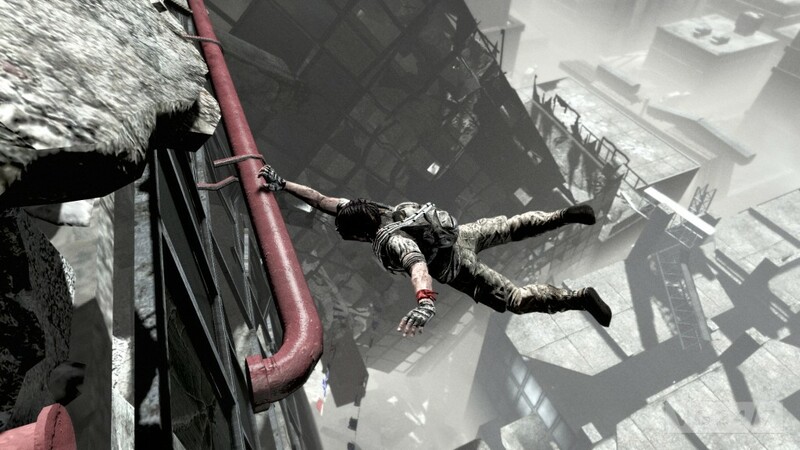 Another that I’ve heard is good for the open world urban running is Mirror’s Edge; but I haven’t played it. I’m with you though; I would totally buy a game with an incredibly expansive world to explore. Even without guns or superpowers; but I usually like some objectives, and a decent story line is also desirable. Mirror’s Edge looks awesome! I haven’t seen any gameplay, but the based on the trailers I’ve seen, I think I’d enjoy it a lot. I haven’t played any of the Assassin’s Creed games, but I’ve seen quite a bit of gameplay of AC3. There is a fair amount of wilderness to explore, as well as some really neat towns. You can also pet the animals, which I think it a neat touch (I just like the idea that you can interact with what are essentially scenery).